The theme was “ugly Christmas sweater,” and Preston Pope took it to another level. The West Ranch High cross country runner arrived for a photo shoot at The Signal offices earlier this month with a sweater made for two — featuring two arm holes and two head holes. The article of clothing fit perfectly because Pope was being honored along with teammate Jack Arnold as co-All Santa Clarita Valley Boys Runner of the Year. The Cats put the day behind them. It may have been motivation, but the setback didn’t have long term effects on their confidence. That’s how the team looked at the 2015 season, too. They were dissatisfied with a seventh-place finish at state, Pope says. But they put it in the rearview mirror and pressed on, with Pope and Arnold out front. Those two challenged each other in practice, and aimed to finish ahead of each other at meets. But a loss to a teammate, they say, isn’t a loss. It’s — cliche or not — a gain for the team, with the biggest gain coming on Nov. 26 at Woodward Park in Fresno. Arnold finished 10th overall (15:32.2), Pope took 14th (15:39.8) and the Wildcats stepped onto the podium as the third-place team finisher in Division 2. “Coming into this season, we had really high expectations for ourselves,” Pope says. “We were all upset about last season. We really wanted to come in and make a big statement early in the year, which we did at Woodbridge, and from there, we had really high expectations and we had to live up to them.” They did. Boon Andrews, Saugus, Junior Andrews, a transfer from Geneva High in Illinois, finished 21st at state with a time of 15:48.4, helping Saugus to a sixth-place finish as a team in Division 2. Andrews’ best finish in the Foothill League came in Meet No. 1. He took second behind West Ranch’s Preston Pope. Andrews then took sixth at the second meet and fourth at league finals. He came in 23rd overall in the CIF-Southern Section Division 2 final. Juan Enciso, Saugus, Junior Enciso was the Centurions’ second finisher at two of the three Foothill League meets, providing his best outing at No. 2 when he took ninth. His 58th-place finish at the CIF-Southern Section Division 2 finals helped buoy Saugus, which finished seventh overall and almost missed a trip to state. The Cents didn’t miss the cut, though, as the top seven advance, and they made the most of it by taking sixth in Division 2. Enciso took 63rd at state. Britain Reynolds, Valencia, Junior Reynolds headlined a special group of athletes that led Valencia High to the CIF-Southern Section Division 1 prelims for just the second time since the school opened in 1994. Reynolds steadily improved during Foothill League competition. He took fifth at meet No. 1, fourth at No. 2 and third at the league finals. He was the 27th-overall finisher at CIF-SS Division 1 finals, though the Vikings did not advance to state. Isaiah Seidman, West Ranch, Sophomore Seidman was a steady contributor for a West Ranch team that won its second straight Foothill League title this season. His best Foothill League finish came at meet No. 2 when he came in fifth with a time of 15:58.34. He took 10th place at league finals before finishing 37th at the CIF-SS Division 2 finals. That finish was crucial to the Wildcats narrowly advancing to the state finals, where they took third. Justin Sherfey, West Ranch, Senior If Sherfey is your third-best runner, you’re in very good shape. That was the case for the Foothill League champion Wildcats, who went on to finish third in the state for Division 2. Sherfey finished in the top 5 at all three Foothill League meets, coming in at No. 5 at league finals. 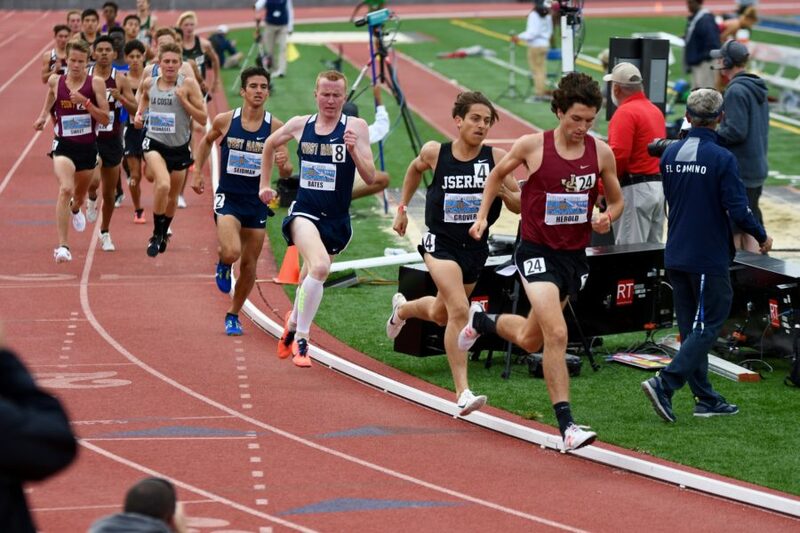 He took 36th overall at the CIF-SS Championships and then came in 37th at the state finals. Sherfey wasn’t simply a role player. He was crucial. Mason Nesbitt is The Santa Clarita Valley Signal's Sports Editor.